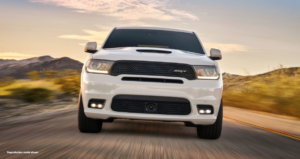 The all new 2018 Dodge Durango SRT is certainly the ‘King of SUVs’ when it comes to performance, comfort and technology. Oh! 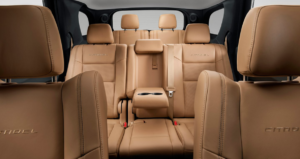 Don’t forget it’s family friendly features with its available 3rd row seating option. Now one can ride in style without sacrificing luxury or performance. 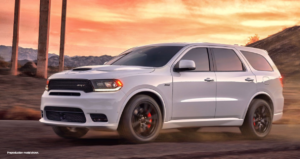 Unlike any SUV on the streets, the Dodge SRT is America’s fastest, most powerful and most capable three-row SUV. 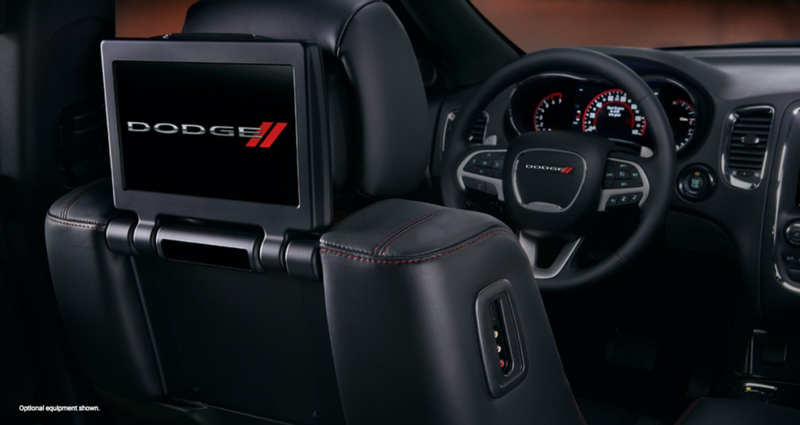 Sit back and feel the raw power of the available 5.7L HEMI V8 engine and the iconic soul of a Dodge Brand muscle car. 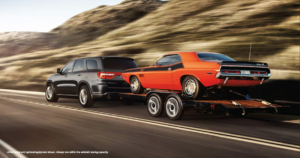 With the standard 2018 Dodge Durangos, you get a triple threat: amazing power, a towing capacity of up to 7,400 pounds and outstanding fuel economy. 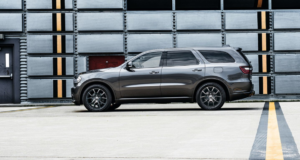 As if 7,400 pounds of towing isn’t enough; the Durango SRT can tow up to 8,700 pounds. No longer do you have to worry about hauling your boat to the boat launch. With a muscular design and refined styling, the Dodge Durango SRT owns the road. 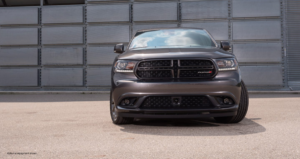 With it’s signature LED racetrack taillamp, available LED daytime running lamps and a variety of exterior colors, you can stake your claim on the roads. Not into driving on roads? That’s ok. 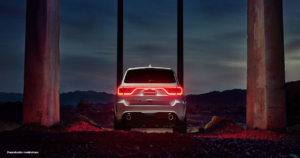 The Dodge Durango is rugged enough to handle nearly any adventure you seek. 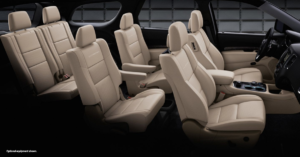 It’s also refined enough to make your search for adventure a comfortable one with features like the available leather-trimmed interior appointments. 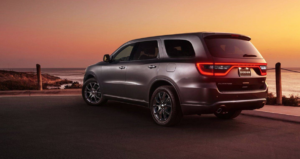 The Dodge Durango packs a full-size punch with state-of-the-art features that could make any home entertainment system jealous. You can even let your crew enjoy more than the ride. 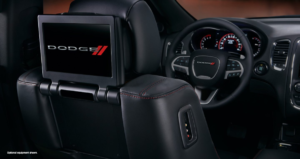 Pop in a Blu-Ray disc for your second-row passengers with the available class-exclusive 9-inch dual-screen Blu-ray Entertainment System with High-Definition Media Interface (HDMI). The available SiriusXM Guardian connects you to your vehicle in ways you’ve only dreamed of before. 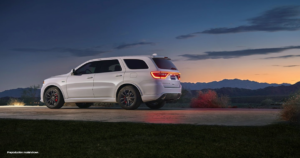 With greater remote access and control, help on your drive is there when you need it: from Roadside Assistance to Navigation features to security alerts. 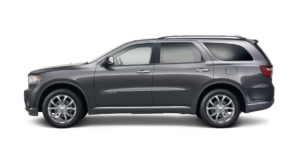 All SiriusXM Guardian-equipped vehicles come with a 12-month trial of the full suite of services effective on the date of purchase or lease of a new vehicle. Enrollment in the trial is required to receive service. Upon expiration of the trial period, purchase of a subscription is required to continue services. Along with SiriusXM Guardian, there should be one thing on your mind when you’re behind the wheel, and that’s driving. 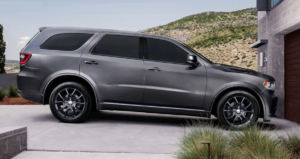 That in mind, Durango offers two new Uconnect systems–the Uconnect 4 and the available Uconnect 4C NAV. 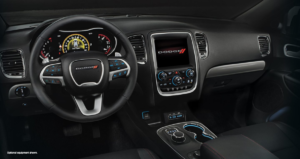 The Uconnect 4 includes a 7-inch touchscreen, Android Auto, Apple CarPlay support, integrated Uconnect Voice Command, Bluetooth Streaming Audio and SiriusXM Satellite Radio. 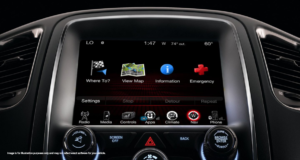 The Uconnect 4C NAV increases the size of the touchscreen to 8.4 inches and adds SiriusM Guardian, Navigation, SiriusXM Traffic Plus and SiriusXM Travel Link. 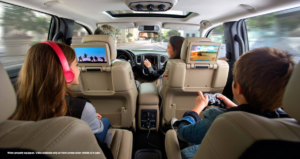 Uconnect 4C NAV also comes loaded with features that make it easy to stay connected like steering wheel-mounted controls, Hands-Free Calling and more. 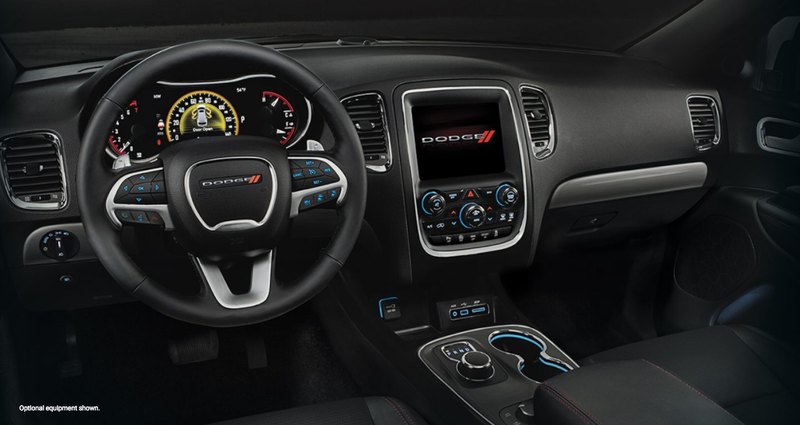 Taking it a step further, Dodge has added a handy 7-inch Drive Information Digital Cluster Display for your audio source information, fuel economy, vehicle status, various alerts and available Navigation. The available power features have never been easier to operate. 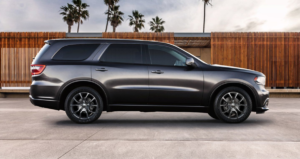 The memory feature lets you save two personalized settings for the power driver seat position, power adjustable pedals, power tilt and telescoping steering column, power exterior mirrors and radio station presets. 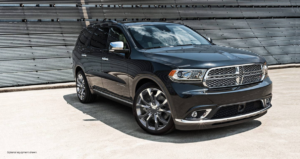 As in added bonus to all this technological advancements, Dodger Durango SRT also has an available Blind Spot Monitoring System that helps keep you aware of vehicles outside your peripheral vision by alerting you of vehicles entering one of your blind spot zones. It assists you when making lane changes. 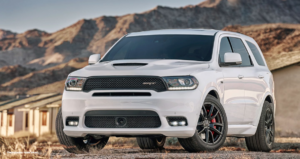 All-in-all, we encourage you to put the Dodge Durango SRT to the test, and then some. 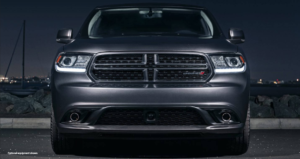 Dodge Durango SRT has more than 60 standard and available safety and security features. 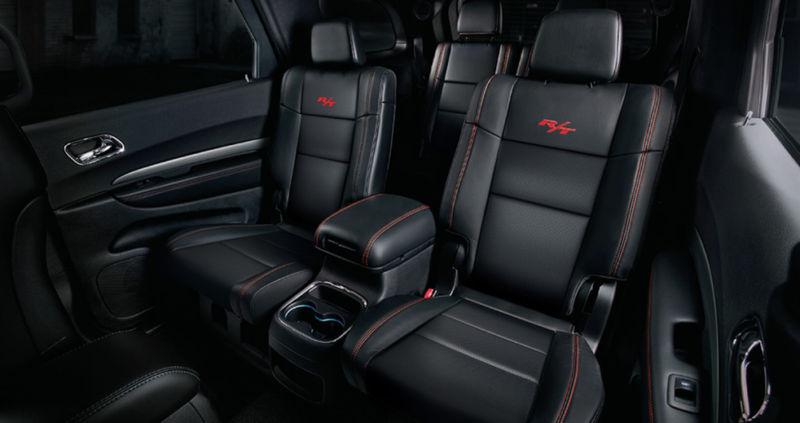 So when you get behind the wheel, you’ll rule the road with confidence. 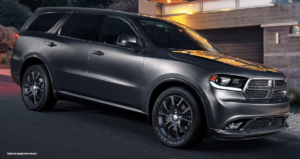 As noted earlier The Dodge Durango SRT has an available 5.7LHEMI V8 engine that produces Best-in-Class V8 power, 360 horsepower – with up to 22 highway mpg (miles per gallon). 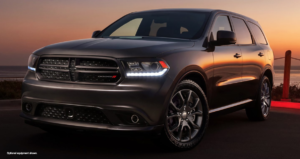 Make it your own kind of epic when you add available packages like the Blacktop Package or the Brass Monkey Appearance Package. No matter what, people will see you coming. This is one vehicle you can make sure they remember you leaving.